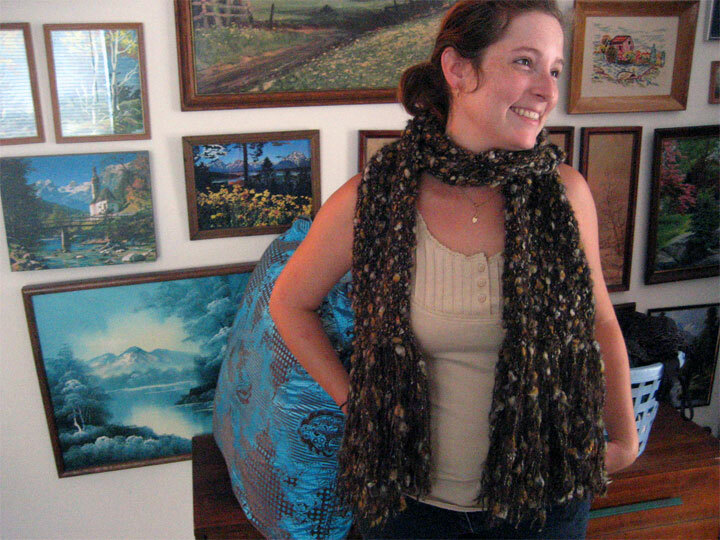 I made this brown scarf for Erin out of Bernat Galaxy in Earth. It’s a little hot for use in July, but it will keep Erin warm this winter. It’s a really professional scarf! Finely crafted! Looks awesome! Suzanne, you are a knitting (? 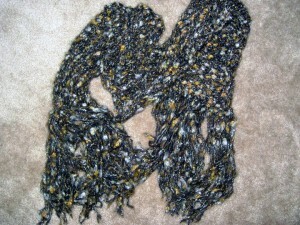 is that what you do with scarfs?) genius!